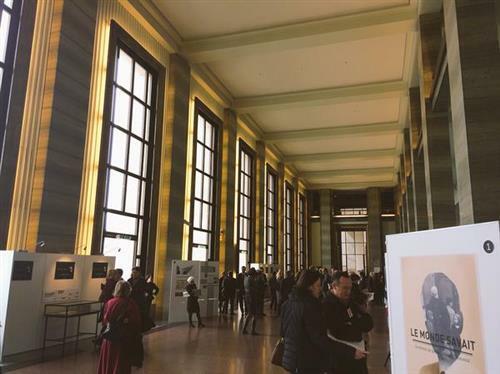 Welcome to euronews' live online coverage of the events taking place across the world for Holocaust Memorial Day 2015, the 70th year of commemorations to remember the Holocaust. 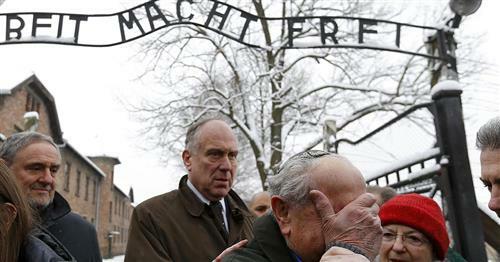 Most eyes will be drawn to Auschwitz, the most notorious of the death camps built and run by the Nazi regime during World War II. But we will bring you up to date what's going on at other locations as well as the best of the reaction on social media. 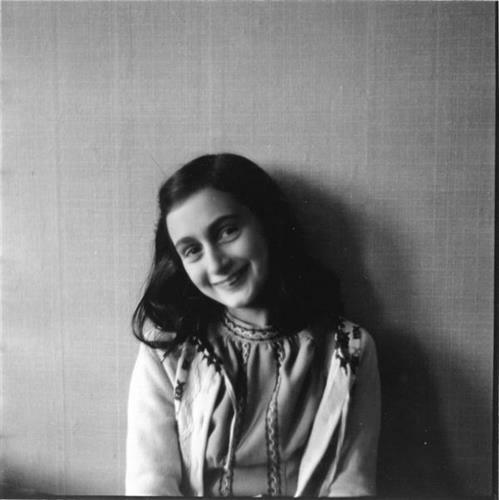 "Humankind united to overcome the Nazi menace. 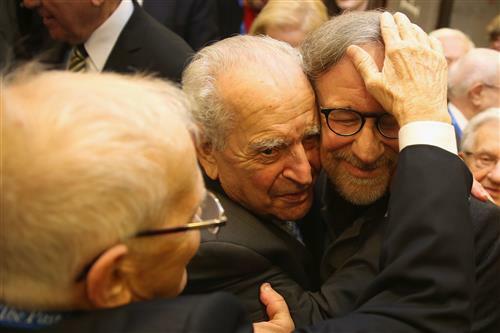 Today we are being tested again"
The IndependentThe director Steven Spielberg told a group of Holocaust survivors that Jews were again facing a growing wave of anti-semitism from people who were provoking hate crimes. 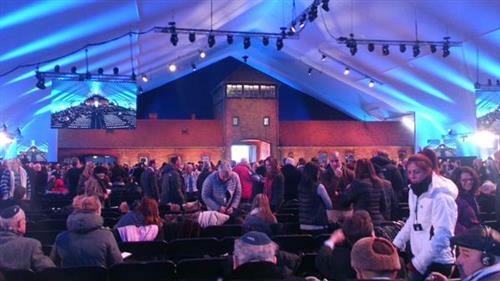 Footage from a drone camera captured Auschwitz concentration camp from the air on October 31 2014, three months before the 70th anniversary of the camp’s liberation approaches. The video passes over many of the camps buildings. 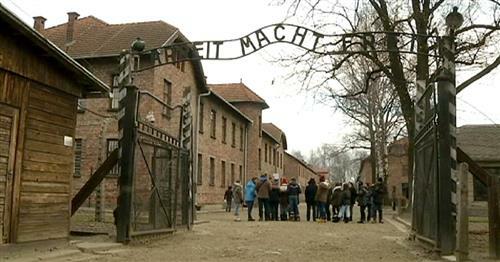 The Auschwitz concentration camp in Poland was a network of German Nazi concentration camps and extermination camps built and operated by the Third Reich, used to kill millions of Jews. 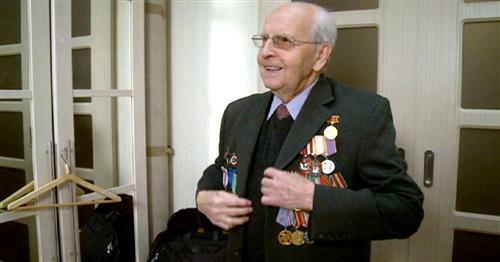 The liberation of the camp by Soviet troops was on January 27, 1945, 70 years ago. 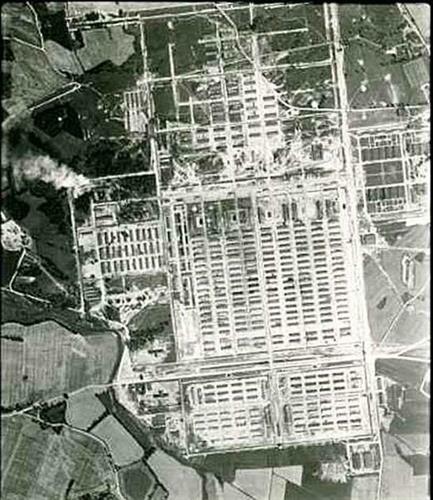 Karl Bischoff was head of construction at Auschwitz-Birkenau. In 1943 he proudly told the Nazi leadership in Berlin that the five crematoria at the camp could burn 4,756 people in 24 hours. Bischoff's role in the holocaust went undetected until after he died in Bremen in 1950. The graphic below by Adrienne Wollman gives a break-down of the numbers of people deported to Auschwitz-Birkenau. 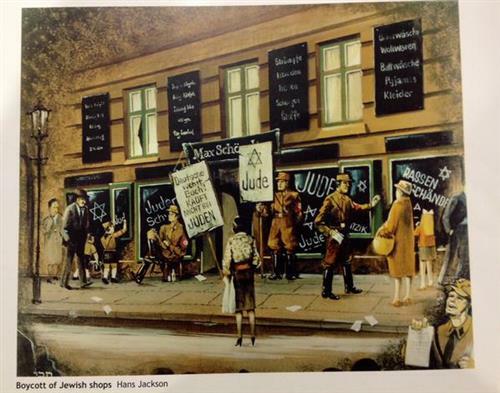 Of just over 1.3 million, 1.1 million were Jewish. The number of people in the camp reached its peak in 1943, a year after the terms of the "Final Solution", the Nazi's term for the extermination of the Jewish population, which were settled at the Wannsee conference in January 1942. 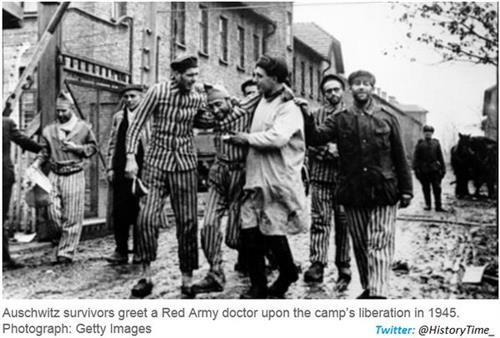 It was at that point that Auschwitz, which had up until then been primarily a Labour Camp for Soviet POWs, became a death camp to where people were deported in order to die. 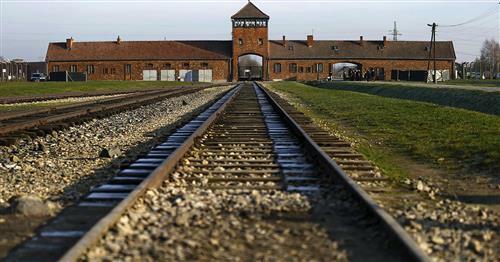 Many of those who died were marched straight from the deportation trains to the gas chambers. 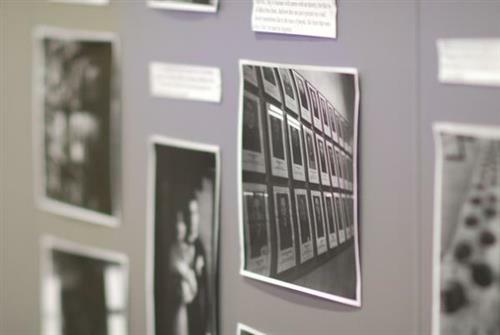 The Holocaust Educational Trust works in schools and the wider community to raise awareness and understanding of the Holocaust and its modern day lessons. 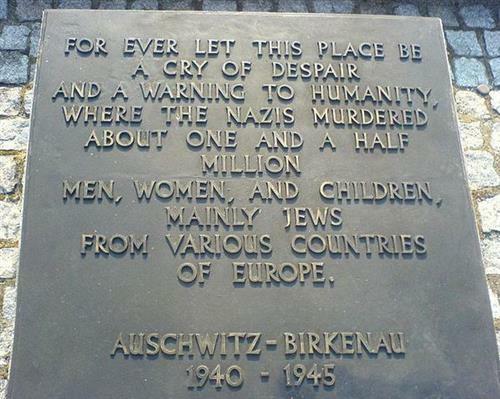 While the main focus today is on Auschwitz, Holocaust Memorial Day is also a tribute to the many millions of lives taken brutally at other Nazi death camps, at Belzec, Chelmno, Jasenovac, Sobibor, Treblinka, Majdanek and Maly Trostinets. 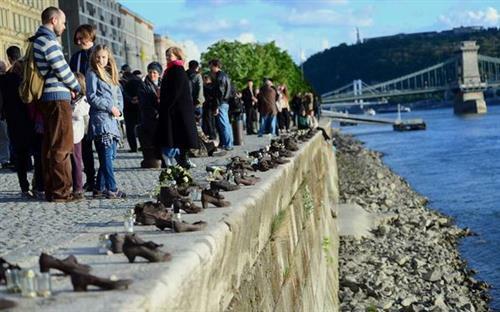 In the United Kingdom, Holocaust Memorial Day is also a commemoration of subsequent genocides that have taken place in recent decades in Cambodia, Bosnia, Darfur and Rwanda. 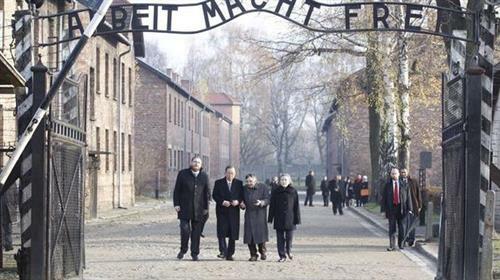 The Queen on #Auschwitz70: "We remember all those affected: those who died, those who have rebuilt their lives in Britain...(1/2)"
The initial concentration camp was built in the occupied Polish town of Oswiecim (in German, Auschwitz) after the forced eviction of around 1,200 local residents. 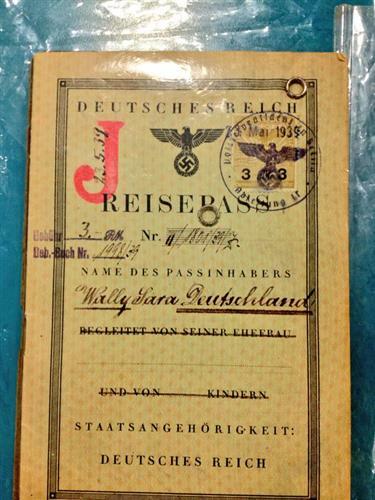 German residents from the Reich were lured to the area by tax breaks in a bid to ethnically cleanse the region. Local Jews laid the foundations for the camp, which started to hold prisoners (criminals from Germany) in May 1940. 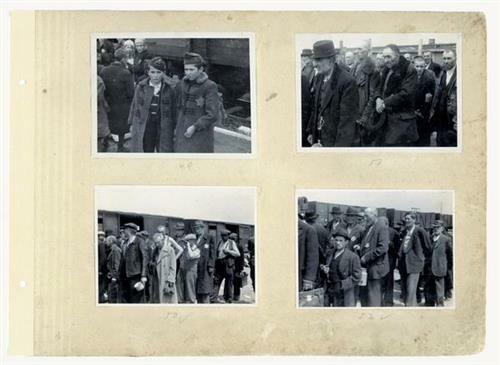 Over the next months, thousands of Polish prisoners began to be transported in. 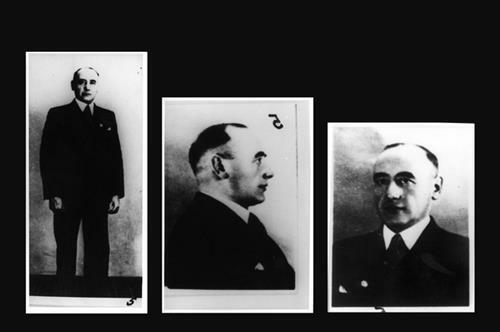 By early 1941, most of nearly 11,000 prisoners there were Polish dissidents and members of the resistance.